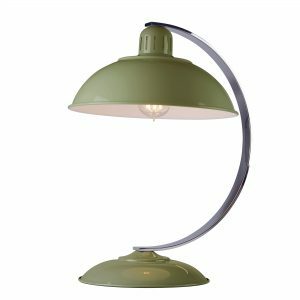 The Franklin range includes retro inspired diner pendants and bureau lamps. The pendants are suspended from a black flex chord, with ceiling pans that match the coloured spun shade. The table lamps feature a curved Polished Chrome arm.